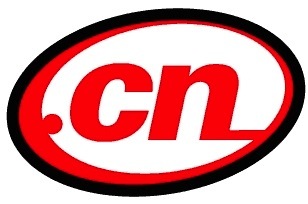 .CN is the official country code Top-Level-Domain (ccTLD) of China. .CN domains can register by organizations and individuals. Documentary evidence is required to prove the registrants authenticity. Restores can be processed manually within 15 days upon deletion. Please use the command RestoreDomain. Change of owner must be requested manually (see TLD specific). Registrants must be businesses or organizations. The administrative contact of the domain must be an employee of the applying company. It is required to provide all the appropriate documentation described below with every .CN domain name registration. Please note: if a Chinese document is provided, then Chinese characters must be used for the registrant contact Name and/or Organization. Pinyin characters are not allowed if Chinese characters are used in the supporting documents. A copy of government issued identification for the Registrant which must match what is listed in WHOIS. (Example: Drivers license, passport, etc). In .JPG format between 100K and 1MB. A copy of corporate documentation that shows it is a legal entity. (Example: Articles of incorporation, business license) Additionally, the CNNIC audit system only allow one page to be uploaded. They have requested that only the first page of the license, which mentions the official company name be provided. The required documentation must be sent via email to support@hexonet.net within 25 days after the registration request. Failure to submit valid documentation via fax or email will result in the domain(s) being revoked. CNNIC will review the documents, which can take up to 5 days. CNNIC will be auditing every document submitted. Once again, please note that if Chinese characters are used in the supporting documents, then Chinese characters must be used for the registrant contact Name and/or Organization. Pinyin characters are not allowed. CNNIC reserves the right to do an audit of the supporting documentation and if the information does not match what is listed in WHOIS, CNNIC reserves the right to suspend such registration. Once a ‘Registrant-ID’ is registered along with the supporting documentation, this Registrant-ID is considered to be ‘white-listed’ by CNNIC. Future registrations under the same ‘Registrant-ID’ will not need to submit new documentation. This applies to both Company and Individual registrations. The only documentation needed will be the Letter of Commitment for the new Registrations. That online domain registration leaves the domain in a PENDING status until the documents listed above are submitted and processed. If a registration is denied due to document invalidation, the ENTIRE application processes must be followed again from the beginning. Once all validation of all documentation is complete, the domain will change status to serverhold if the name is not recorded in China’s MIIT ICP Recording system. In that case users should record the name with MIIT ICP Recording system and provide the Record Number via email to HEXONET. We will then request the update of the status to OK. If the required documents are not complete or contain errors or if the applying registrant does not fulfil the registry's requirements the registry may reject the registration. Unfortunately, they do not automatically provide a reason for the rejection to the registrar. In case that you need to know the exact reasons for a rejection please contact our support. We will then contact the registry and ask for the reasons for the rejection. Please consider that this may take up to 7 working days. Modifications to a .CN domain owner contact can be performed in the Control Panel or using the API. The new owner information has to be verified within 30 days after the update. Otherwise the registry will de-activate the domain. Please see above information for the required documents. If the required documents are not complete or contain errors or if the applying registrant does not fulfil the registry's requirements the registry may reject the ownerchange. Unfortunately, they do not automatically provide a reason for the rejection to the registrar. In case that you need to know the exact reasons for a rejection please contact our support. We will then contact the registry and ask for the reasons for the rejection. Please consider that this may take up to 7 working days. Please ensure, that you have a correct “Authorization Code” associated with the domain, before initiating the transfer, otherwise it will fail. Please note that if a .CN domain name is registered with a direct accredited CNNIC registrar (Domestic), it can only be transferred to a gateway registrar (Foreign) with a manual procedure. Please contact our support by email and send us the domain name and the respective authorization code. This page was last modified on 7 March 2019, at 12:14. This page has been accessed 77,344 times.